Watch Minke Whales On The Great Barrier Reef! These awesome Whlaes visit the northern part of the Great Barrier Reef and truly are beautiful. Watch the video below yourself and see! http://www.hdvunderwater.com Minke Whales out on the Great Barrier Reef out from Cairns on board Taka Dive. Are you looking for Hamilton Island Cheap Accommodation For Budget Travel? This island is probably one of the cheapest as far the Whitsunday Islands goes. Also this Island is full of adventure, fun and a great place to relax! Who could think of a better place than the Great Barrier Reef and The Whitsundays? Actually there are quite a few, but hay Hamilton Island is right up there. Especially because it’s just so easy to get to! How do you get there? 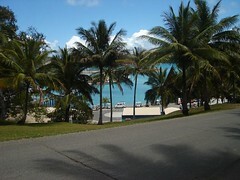 Well, you just catch a ferry from Shute Harbour which is a couple of kilometers south of the famous Airlie Beach. But How Do You Find The Cheap Hamilton Island Accommodation? There are few ways to find this budget accommodation, one is through a reputable site such as the great-barrier-reef-holidays.com website or visiting a trustworthy travel agent who you know will provide you with a goof deal! The other is to travel there yourself and hunt for a bargain! The best way to do this is travel to Airlie Beach book into a hostel overnight then go into town and look for the best deals available. There are loads to choose from as they all want to compete for your tourist dollar! Warning: Don’t get overwhelmed and rush into the first deal. Who knows there just may be a better one around the corner. Put together a list and compare the rates and packages. Then once you come up with a few go to the travel agency or a place hwere they book the accommodation and ask for one better! Actually show them what you have and see if they can better it! I hope you enjoyed this article “Hamilton Island Cheap Accommodation For Budget Travel” If you are serching for more solid information try this link we have provided there is plenty of top information and great deals every day!